Preheat oven to 350°F. 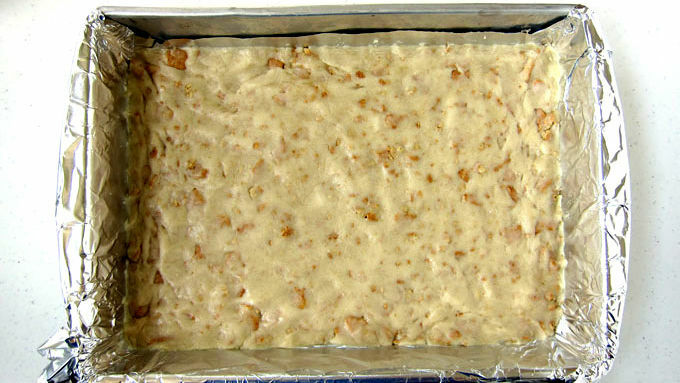 Line a 9x13-inch baking pan with non-stick foil or parchment paper. 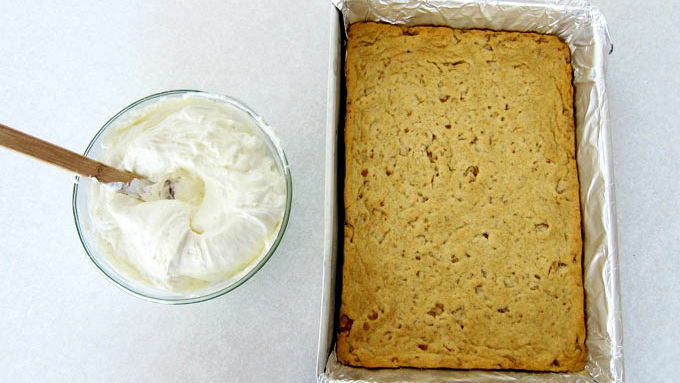 GRAHAM CRACKER COOKIE: Break the graham crackers into very small pieces or large crumbs. 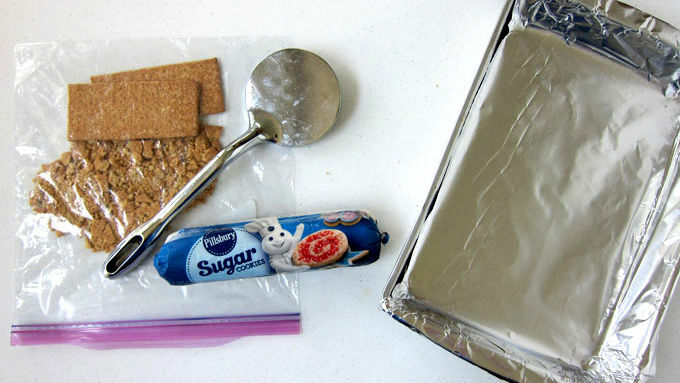 Mix the graham crackers into the Pillsbury™ refrigerated Sugar Cookie Dough. Press into the pan. Bake for 20-24 minutes until lightly golden brown. Allow cookie to cool completely in pan. MARSHMALLOW CHEESECAKE FLUFF: Beat cream cheese until light and fluffy. Add marshmallow fluff and beat to combine. Fold in the whipped topping. Spread over top of cooled cookie. Refrigerate while making chocolate ganache. 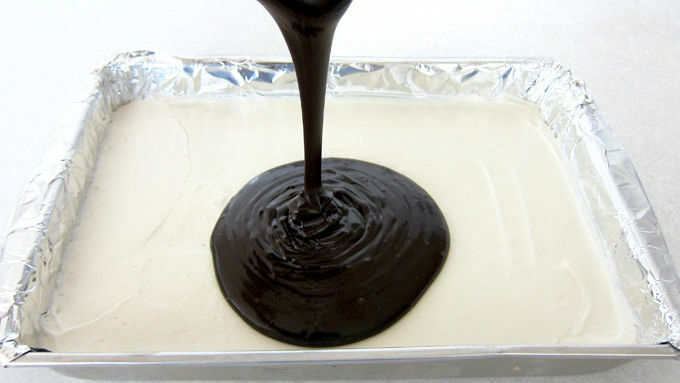 CHOCOLATE GANACHE: Stir together heavy whipping cream and corn syrup in a microwave safe bowl. Heat on high power for 45 seconds. Pour chopped chocolate into hot cream and let sit for 3 minutes. Stir until smooth. If needed, heat for 10 second increments, stirring after each until melted. Allow to cool for 15 minutes then pour over top of the marshmallow cheesecake fluff. Freeze for at least 3 hours. Remove from freezer and cut into 16 sticks (1 inch wide wide by 6 1/2 inches long). Dip a long serrated knife in hot water, then dry off before making each cut. A bit more work than ripping open the plastic wrap around a Moon Pie, but so worth the extra effort! This dessert is simple enough for a weeknight but impressive enough to wow party guests. 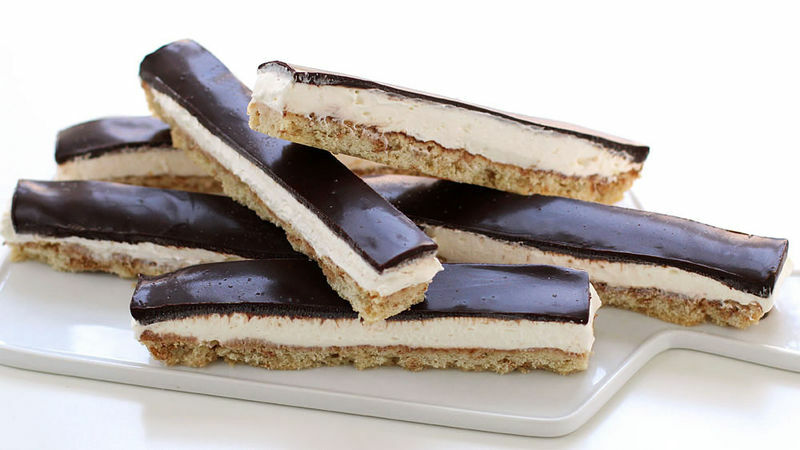 Each layered stick combines a graham cracker-speckled sugar cookie crust with lusciously creamy, sinfully sweet, marshmallow cheesecake fluff, and silky-smooth dark chocolate ganache. With each bite you’ll enjoy all the flavors you know and love in a Moon Pie in a new and exciting way. To keep this recipe simple, you’ll use a tube of Pillsbury refrigerated sugar cookie dough as a base for the first layer. 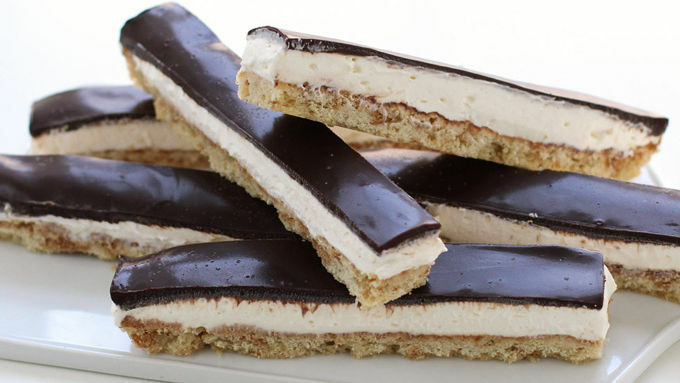 You can serve the sticks frozen, allow them to thaw a bit so the cheesecake and chocolate layers soften up, or refrigerate them for several hours or days until you are ready to serve the dessert. Frozen, refrigerated, or room temperature, it’s all good. Any way you serve this dessert, I know you’ll love it.